Wampums are visual memory keepers that help record history and communicate ideas. 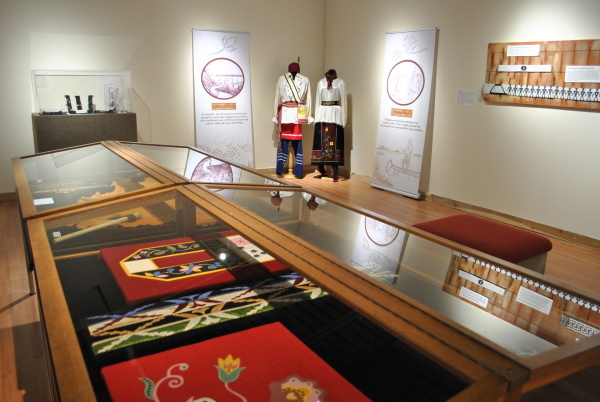 Beaded patterns represent a person, nation, event, invitation, shared values and understandings/agreements between two or more parties. 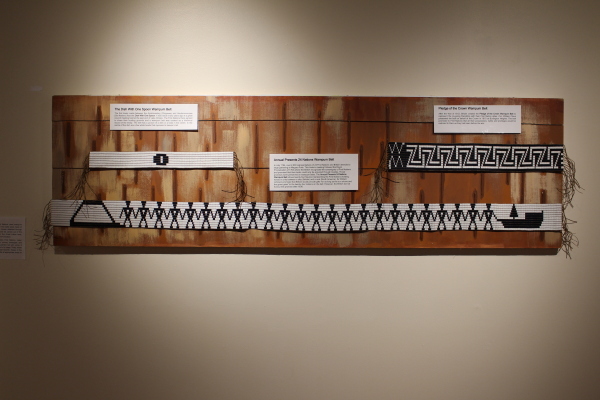 Traditional wampum belts were used as covenants and petitions for understanding. 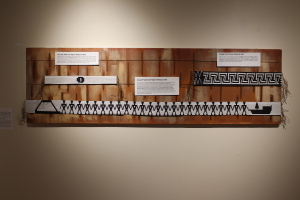 Words spoken during an agreement are made into wampum to be used for ceremony, teaching, and reminders of law and values. In his 1914 archaeology report on Ontario Effigy Pipes in Stone, Col. Geo. E. Laidlaw writes about the unique Lizard Pipe specimens in Ontario, of which we have on display in our permanent exhibit with a unique provenance. “1st, Long slender stemmed pipes, with effigies, either human or lizard, clasping the front of the bowl, with head projecting above rim, and when the effigy is a lizard the tail extends along underside of stem. Sometimes only the human head is represented (in one case an animal) perched on edge of bowl. To wear gloves or not to wear gloves? This is a question archaeologist and historians have been debating for decades. Traditionally gloves were used when handling all artifacts, but new evidence suggests that wearing gloves might actually do more harm than good. Read the following statements and try to determine whether they are fact, or just a myth! Once you have your answer, scroll down to see if you are correct! #1: People have oils in their skin that can be harmful to artifact(s) they handle. #2: You don’t need to wear gloves when handling manuscripts, touching them is actually good!